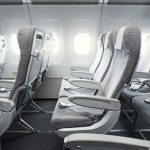 Finnair has announced it will further strengthen its holiday offering by opening three new routes to Bologna, Bordeaux and Porto for the peak 2019 European Summer season and increasing capacity to other popular destinations. Finnair will fly up to three weekly flights to Bologna, Italy between 10 April and 18 October 2019. Bologna is well known for its gastronomy and wine scene and is an easy gateway to several other popular Italian cities and regions. Some of the flights will offer excellent connections for customers travelling from and to Finnair’s Asian destinations. Finnair will also fly up to two weekly flights to Bordeaux, France between 11 May and 14 September 2019. Often referred to as the wine capital of the world, Bordeaux is also recognised for its food and wine scene as well as its historic centre which is listed on the UNESCO World Heritage List. Portugal’s popular coastal city of Porto will receive two weekly flights from Finnair, between 21 June and 12 August 2019. Located in Northern Portugal, Porto is Portugal’s second largest city and it is the famous home of Port wine. This route opening follows the successful launch of flights to Portugal’s capital, Lisbon, this year. All three new routes will be operated with an A319 aircraft. “We are very pleased to be able to offer these three new routes for leisure travellers next Summer,” Finnair Chief Commercial Officer Juha Järvinen said. Finnair Regional Manager, Australia, New Zealand & New Caledonia, Arnaud Michelin said the new flights would be of interest to local travellers given the popularity of Portugal, France and Italy among Australian holidaymakers. 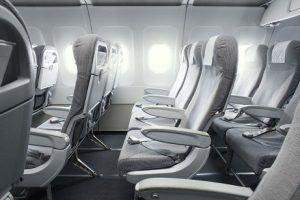 Mr Michelin said Finnair would also add capacity to some of its popular holiday destinations during the peak summer season, including an additional weekly frequency to Alanya-Gazipasa, Palma de Mallorca, Split and Tel Aviv. Finnair will fly an additional triangle flight on Wednesdays between Helsinki, Ivalo and Kittilä from 24 April to October 23 2019. Finnair has been named Best International Airline – Offline in the prestigious AFTA National Travel Industry Awards for the past six years from 2013 to 2018.